Lovely local ladies, what are you doing next Tuesday evening? 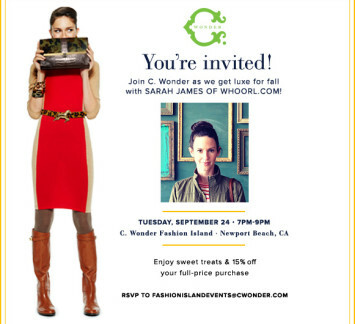 I think you should drop by C. Wonder at Fashion Island for some sweet treats, vino, and a nice little discount. Be there or be square!